How can we rebuild trust in banking? I might as well get straight to the point: these days very few people like or trust bankers. In part because of the continuing economic problems stemming from the banking crisis of 2008; in part because of society’s perception (in some ways justified, in others, unfair) that bankers are just out for themselves – a feeling that has been amplified by the stream of recent scandals that have been widely publicised. This is a problem because banking – broadly defined – is one of the most crucial of all service industries. Its efficient operation helps underpin all other businesses and, in turn, our prosperity. A constant state of low level, but bitter antagonism between the mass of people and businesses and the financial services sector is not healthy. In my view, the long-term solution to this problem is to make banking into a profession once again. Why is banking’s status of a ‘profession’ important? One reason is because a person’s status as a member of a profession engenders trust. In 2015, when people were asked in an Ipsos MORI survey who could be “trusted to tell the truth”, the three top answers (doctors, teachers and judges), with an 80% rating or higher, correspond to traditional professions. Lawyers did worse (51%) but still significantly better than bankers about whom only 37% of survey respondents replied favourably. But bankers were not always viewed in this way. Think of the old stereotype of the banker from the 1950s or earlier: dull, certainly, but trustworthy too. This perception (in the UK) stemmed in large part from a century of centralised training and accreditation dating back to Victorian times. However, with the onrush of technology, competition and new products, things were very different by the time I joined banking in 1990. The great thing about professional training is that it creates a ‘core’ common culture for its practitioners that is separate and distinct from the culture that might emerge naturally in the professional’s employer. When I started my career though, there was no ‘core’ culture for investment banking. What was acceptable behaviour on a whole range of different ethical issues was simply a matter of what was tolerated at any specific firm. For any new employee, learning what was and was not good practice was in essence a process of osmosis – what were other people doing and what was the boss up to? But even within one firm this might vary by boss. To take one tiny but important example that I came across early in my career: was it acceptable not to mark your book of deals to market each night? One boss might be a stickler for accuracy; another might be flexible ‘within reason’; yet another might be fine if any mismarking was ‘prudent’ (i.e. gains were hidden but not losses). Other practices also varied by product and desk: I was shocked when I first moved from FX to Commodities to find that brokers in my new market seemed happy to ‘pass names’ (i.e. undermine the anonymity of who was making prices) – this was something that was a complete no-no in FX. Needless to say, approaches varied widely by firm too. In short, ethical standards were a complex patchwork across the banking industry, but especially in those areas that had changed and grown the fastest. As the years and decades wore on, this lack of consistency had a corrosive effect on the industry. Competition was intense. Rewards were high. If a desk cut ethical corners it would often – all other things being equal – make more money than its more punctilious rivals. Thus it would gain more influence within its firm. Its boss (with his more ‘flexible’ approach) would gain more power via promotion and thus his standards would gain more traction. A mechanism had been put in place that meant that ‘bad’ practices (or at least those most close to ethical boundaries) could be in a position to drive out the good. To be sure, in the wake of scandals, banks would tighten up procedures and rules. For instance, there was a determined effort in the mid 1990s to ensure that books were always ‘on market’ after some embarrassing incidents where banks were forced to restate accounts. Following the Proctor and Gamble court proceedings (where my old employer Bankers Trust was accused of mis-selling complex derivatives) rules were introduced about client risk disclosures. But all of this was piecemeal and not consistent across firms or locations. The result, as we all have seen, was disastrous. Badly designed deals in the credit markets; ethical lapses in a slew of areas of banking as different as LIBOR setting or the selling of payment protection insurance (PPI); even outright criminality (alleged or actual) in a few cases. And, behind all this, was the spectre of the near collapse of the entire banking system in 2007/8. In truth, this collapse would almost certainly have happened even if every banker had always adhered to the highest ethical standards (each deal carefully designed and fully explained; every LIBOR submission uninfluenced by internal positioning) since, in my view, the causes of the crisis were broadly based and systemic: massive technological change; cutthroat competition; and regulatory laxness. The aftermath, though, would have been very different. Instead of the current confused conflation of the ethical with the systemic (“Bankers are all crooks – that’s why the banks failed”) along with its fallout of swingeing fines and the resultant billions of dollars of spending on ever-more-advanced surveillance in banks, the emphasis would have been on fixing the systemic faults. Instead, this effort has been diluted. Besides, the strenuous efforts in recent years by regulators and banks’ managements to impose ethics from without and from above have been met with weary cynicism from banks’ employees. Why is this? First, because, despite the common view to the contrary, in my experience the overwhelming majority of banks’ employees are honest. 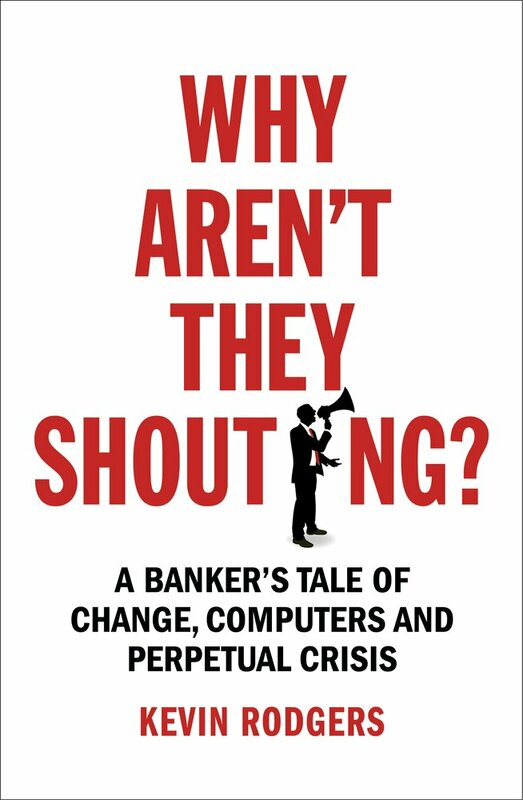 As a result, they resent this endless hectoring – especially when it comes from regulators who seemed not to care about any of these issues prior to the crisis and from senior managers who were all in power in the old ‘unethical world’ and who benefited from it mightily. No one likes a hypocrite. Second, because it is clear to even the most junior employee that the new culture of compliance – swathes of training courses; constant on-line box ticking (“Can you confirm that you have reviewed your subordinates’ expense claims in October? Click Yes or No”); heightened electronic surveillance – has not really been put in place for the benefit of clients or to force into reality management’s new, sudden, but deeply-held ethical epiphany. Rather, its coldly rational goal is to ring-fence and isolate an employee in the event of a problem. In short, it is to protect a bank’s management and shareholders from future fines and legal action: “Don’t look at us, Guv, he ticked the box – we did what we could”. All the while, of course, the old commercial imperative is still in place: make money or ship out. I was once asked at an internal bank conference, in the twilight of my career, what single change could improve the bank’s ethical culture? “Reward people for NOT doing bad deals”, was my suggestion. I am not waiting for this policy to be implemented industry-wide with a great deal of eager anticipation. So what can be done? My proposal, as I have already stated, is to re-professionalize banking. To create a body responsible for the ethical training of every banker who works in the field. To create, in this way, a new, independent ethical lodestar for every banker – one that will be consistent and constant despite the shifting tides of opinion within his own institution and the shifting progress of technology and product development. To create – over the long run of decades – a body of professionals in which each member thinks of himself or herself as a professional banker first and as employee of bank X or Y second. In sum, to create – to borrow a term from a different field – a ‘Hippocratic Oath’ for bankers. A banker, armed with this oath, would be in a much better position to withstand pressure to do anything which was contrary to its precepts; indeed, over time, as every banker at every level of seniority became professionalized in this way, the pressure might well diminish. The professional body could also provide support (up to and including help with legal fees) for members who felt unfairly treated by their employers. In a way, it would act as a form of bankers’ union, although I do not imagine any role for it in setting wages – bankers seem to do a good enough job on this score independently. Practically speaking, how could all this be achieved? The first thing to say is that, although finance is global and ethical standards should not vary by location, the challenges of pursuing a global approach – at least initially – would be too intense. The best place to start would be to create a body in each major centre of finance. As a Briton and a Londoner, let me outline some thoughts about how Britain might approach this challenge. It is easiest to start by saying how the body should NOT be set up. It cannot, for instance, be run by banks – the whole idea is for it to be independent of them. Nor is it a job for regulators, although there would clearly need to be a strong and cooperative relationship between them and the professional body. Nor, sad to say, can it be associated with any body tainted by the scandals of the past. This would rule out the British Bankers Association (BBA), which, despite the hard work its officers put in, has had its reputation marred by LIBOR. One possible solution is for the government to help to vastly increase the reach and duties of the 140-year-old Chartered Banker Institute. This body already provides training in ethics for a wide variety of bankers and Chartered Banker status is already well respected. Why not use government funds to increase its facilities and the scope of its courses? Why not, gradually, over the course of time, make Chartered status compulsory for any senior manager of any UK-based banking office? Why not make ethical training compulsory for any new employee? It seems to me that the benefits of re-professionalizing banking (whereby London could slowly start to be seen, once again, as a ‘clean’ centre for finance) would be well worth the small extra expenditure. Such a process would require political will and would take time to have effect – but without such will the current distrust of banking will never go away. Let’s start the process now.